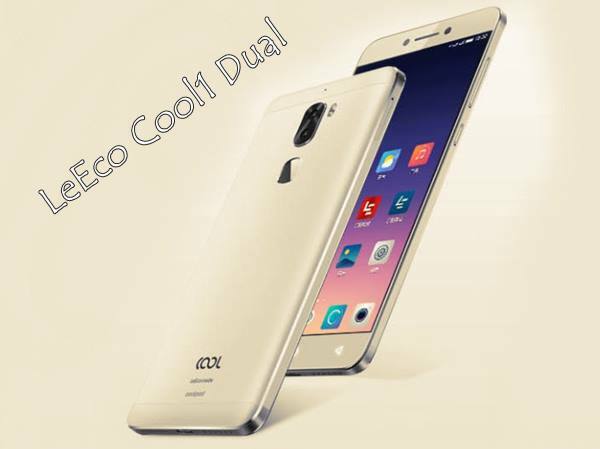 LeEco and Coolpad jointly developed the best budget smartphone, the all new recently launched LeEco Cool1 Dual in Indian market. It is available in China from 24th August priced at priced at CNY 1,099 (Approx. Rs. 11,000) for 3GB RAM+32GB ROM, priced at CNY 1,499 (Approx. Rs. 15,000) 4GB RAM+32GB ROM, and at CNY 1,699 (approx. Rs. 17,000) for 4GB RAM+ 64GB. Now LeEco Cool1 Dual launched in India priced at Rs 13,999 for 3GB and 4GB variant. Recently LeEco Cool1C in China at CNY 899. The all new LeEco Cool1 Dual supports fingerprint Scanner, Dual-SIM(LTE+LTE), Micro SIM and Nano SIM, 4G LTE, 3G, Wi-fI, Wi-fi Hotspot, Bluetooth,GPS and USB Type C, comes with a bigger 5.5-inch Full HD (1080×1920 pixels) IPS in-cell display with Corning Gorilla Glass 4. It also offers mind blowing multitasking and user interference thanks to Qualcomm Snapdragon 652 octa-core processor clocked at 1.8GHz, Adreno 510 GPU and latest Android 6.0 Marshmallow OS with EMUI 3.1 skin on top. Cool1 Dual comes with 3GB/4GB RAM, 32GB/64GB Internal memory but no expandable memory. It sporting a Dual 13-MP rear camera Sony/ OV with flashlight and auto-focus, using F2.0 large aperture, and 8-MP front camera. It packed with 4060mAh battery with C type Quick Charge 3.0. It measures 152×74.8×8.2mm, and weight 167 grams. LeEco recently launched Letv Le 2 in India priced at Rs. 11,999 and Le Max 2 launched at Rs. 22,999(4GB of RAM+ 32GB ) and Rs. 29,999 for (6GB RAM+ 64GB). but Letv Le 2 Pro not yet launched in India which already available in China at 1699 Yuan(MediaTek helio X20) and 1999 Yuan(MediaTek Helio X25). Display 5.5-inch full HD (1080x1920pixels) IPS in-cell display with Corning Gorilla Glass 3, 403 PPi. Price in China CNY 1,099 (Approx. Rs. 11,000) for 3GB RAM+32GB ROM, priced at CNY 1,499 (Approx. Rs. 15,000) 4GB RAM+32GB ROM, and at CNY 1,699 (approx. Rs. 17,000) for 4GB RAM+ 64GB. At last few honest word, LeEco Cool1 Dual is coming rule the Indian and Chines market. What you think? Please be open to give your view. Well we don’t now the date but we now that is this phone may launch in Q4 season may be in October, November and December (Q4). Does it support expandable memory, OTG , FM radio..
MEMORY 32GB/64GB ROM expandable up to 128GB Via MicroSD card slot means we cant use 2 sims and memory card at the same time right. plzz tell exact date when this mobile launched in india plzzz? Hi does Cool pad cool 1 has option of expandable memory ( SD card) ?????????????? ?